I have been living in Northwestern Ontario most of my life. When I did travel it was always apparent that the produce in the stores was better, and as a student attending the University of Guelph I had great opportunities to enjoy the Southern Ontario farmer markets. Suddenly, food had flavor. Of course, I never really noticed I missed it until I bought my first house in 2006. 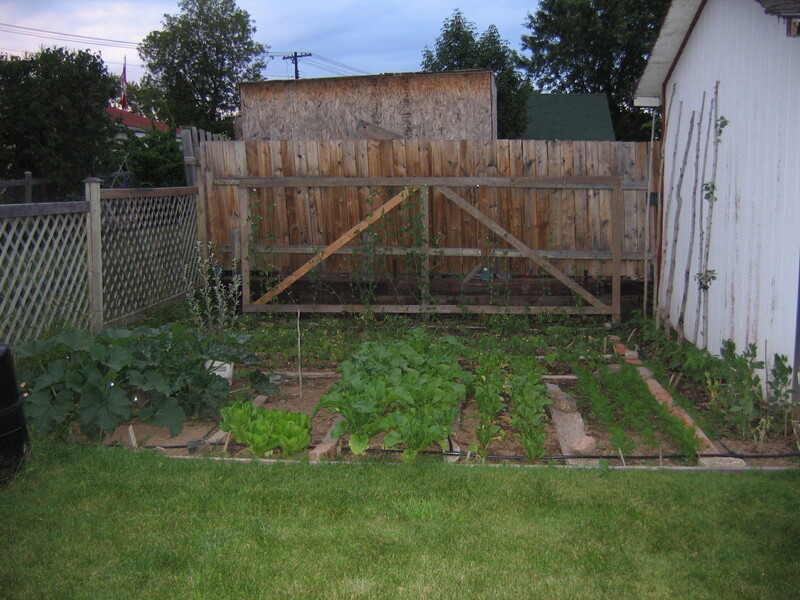 It had a dead, overgrown, mostly turf space behind the garage that appeared to have at one point been a garden. And like all new homeowners I was motivated. I could do it ALL!! (yes, I have that crazy moment quite often, maybe I’m a slow learner). So I cleaned up that horrible clay soil spot, and dropped in seeds. And I actually did get a few things. Beans, a couple peas, some lettuce, and of course zucchini. And they tasted gooooood. But winter came, and I was back to the grocery store offerings. I missed the flavor of summer, and this happened each year. Then it happened – I saw a notice that there was a seminar being offered on building a winter greenhouse. A NORTHERN passive-solar winter greenhouse. Excuse me? A what? And I absolutely had to attend. It was being offered on the CLE grounds here in Thunder Bay, by Carol Ford and Chuck Waibel who run and operate a unique winter CSA in Milan Minnesota, Garden Goddess Produce. An absolutely wonderful couple who were happy to share their stories, process, plans, and what they’ve learned. They’ve made it work, and at the time of the seminar (2009? 2010?) they had 18 families happily sharing in their fresh green CSA offerings all winter. I left there entirely inspired and making gigantic plans in my head to eventually – one day – have a winter greenhouse. For those who know me, that’s often a bad thing because I just don’t let things drop easy. But the greenhouse had a few years before I would be in any position to build it. Plus, I live in the city and I want to use every bit of space well. So I wanted to have a greenhouse that would work for both summer and winter, which would take planning. So I added their book “The Northlands Winter Greenhouse Manual” to my Christmas list every year, and in the meantime continued to plan in my head, and do what I could through the winter. And Christmas 2012 my book arrived! So I started planning, and making adjustments, and crossing my fingers. ← Gardening? In N.W. Ontario….Canada. Land of SNOW?! So is there now a wintergreen house at your city house? Almost 🙂 Raised beds going in this week, hooking up backup heat for incase, hooking up the heatsink fans soon. And getting ready to order seeds for cold-season greens. My soil has tomato sickness after years repeatedly growing tom; rotate. Lettuces got aphids, Claytonia fantastic!